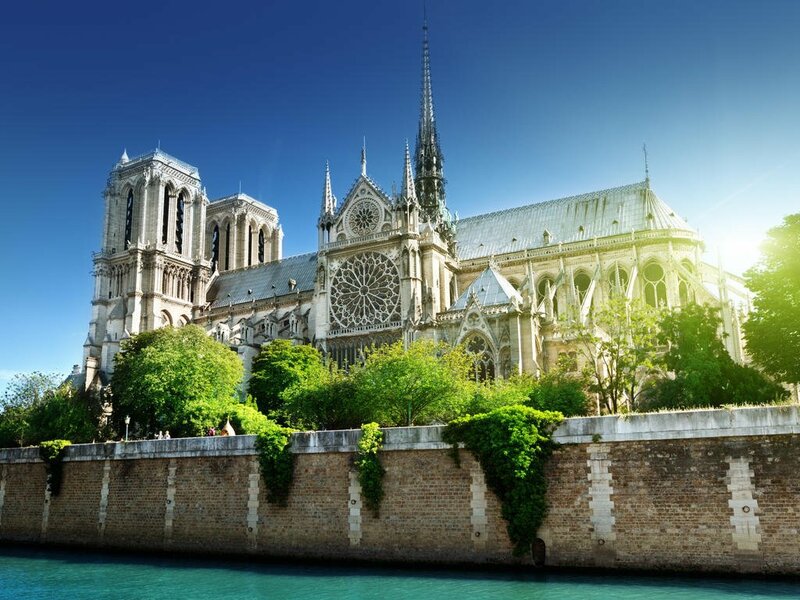 From the rich history of Normandy to the iconic landmarks of Paris, France has something to offer nearly everyone. 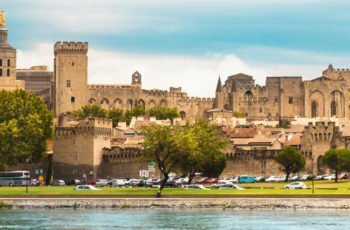 It’s no wonder France is one of the world’s number-one travel destinations — one visit will leave you with vivid memories of nibbling on warm croissants, strolling through private vineyards and seeing impressionist masterpieces up close. Visit the Louvre in Paris for a closer look at DaVinci’s Mona Lisa or one of the museum’s best-known and most beautiful pastel drawings: the portrait of the Marquise de Pompadour. Of course, no trip to France would be complete without visiting the famous Eiffel Tower. There you can dine at one of the many restaurants like Le 58 Tour Eiffel or enjoy the champagne bar at the very top. 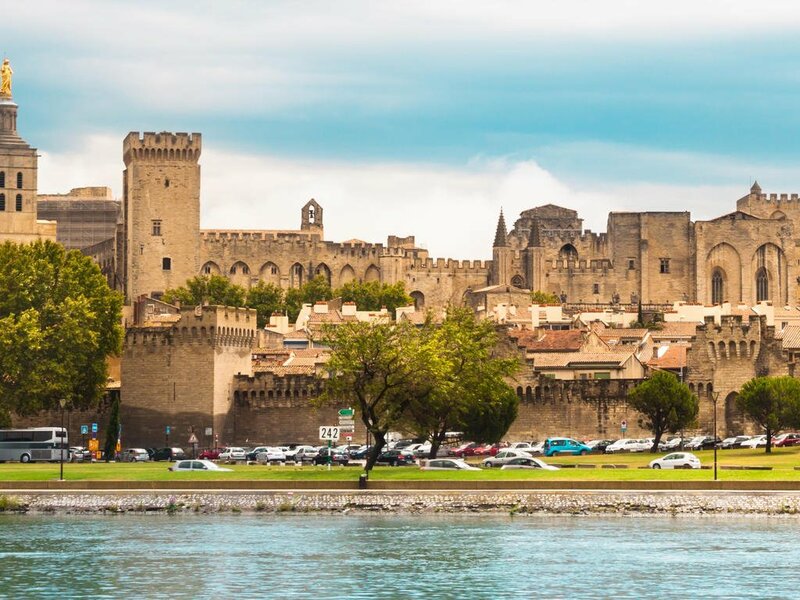 In southern France, cruise down gentle canals and rivers on a barge, but don’t forget to stop at Burgundy and the Loire Valley — meccas that are sure to please any wine-lover. 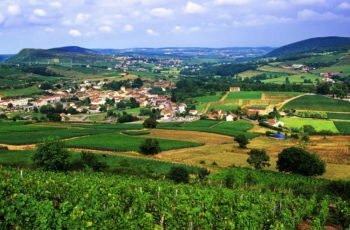 You’ll also find some of the world’s best wines in Bordeaux and Champagne. 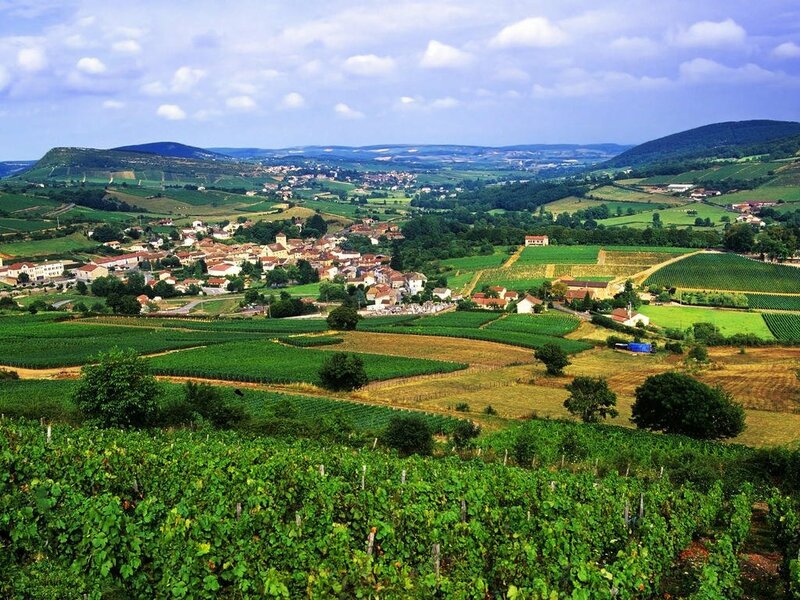 It’s true, France is a sommelier’s paradise. 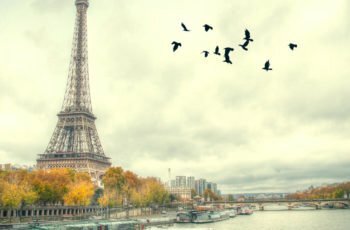 France offers much more than meets the eye. Regal architecture and gastronomic delights are only the beginning. This destination is the heart of all things alluring, romantic, and refined. 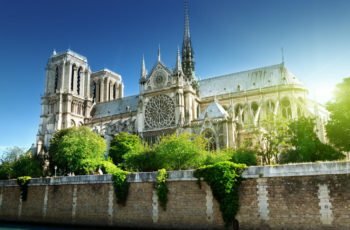 Whether you’ve never been to Europe, or you’re a well-seasoned traveler France is sure to offer you an unparalleled experience. Electrical sockets (outlets) in France are one of the three European standard electrical socket types: The "Type C", "Type E", and "Type F". If your appliance's plug doesn't match the shape of these sockets, you will need a travel plug adapter in order to plug in. Travel plug adapters simply change the shape of your appliance's plug to match whatever type of socket you need to plug into. Electrical sockets (outlets) in France supply electricity between 220-240 volts AC. Some hotels do have 110 volt outlets to accommodate USA pins/plugs but it is best to take a converter and adapter plug set. Travel plug adapters do not change the voltage, so the electricity coming through the adapter will still be the same 220-240 volts the socket is supplying. If you need to use appliances that are not compatible with 220-240 volt electrical input, you will need a voltage converter. 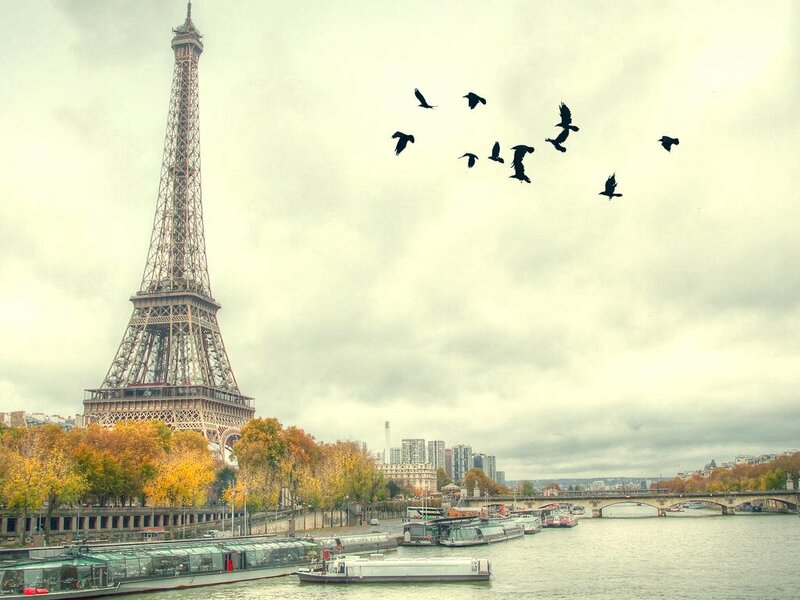 France uses the European monetary unit, the euro (€). Euro bills come in denominations of 5, 10, 20, 50, 100, 200, and 500; coins are worth 1 cent of a euro, 2 cents, 5 cents, 10 cents, 20 cents, 50 cents, 1 euro, and 2 euros. Local merchants may refuse to accept €200 and €500 bills due to the prevalence of counterfeit bills. 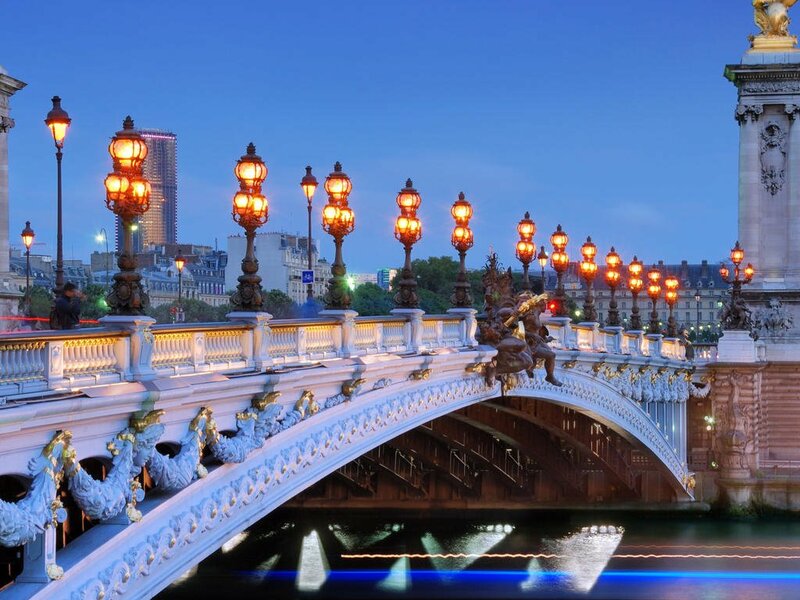 Banking hours in Paris are usually from 10:00am – 5:00pm, Monday through Friday. Throughout the rest of France, banks are usually open from 10:00am -1:00pm and 3:00pm -5:00pm, Tuesday to Saturday. Banks often close earlier the day before a public holiday. ATMs are by far the best way to get money in France. They all take CB, Visa, Mastercard, Cirrus and Plus and are ubiquitous throughout France. It is possible that some machines do not handle 6-digit PIN codes (only 4-digit ones), or that they do not offer the choice between different accounts (defaulting on the checking account). Some first class hotels are authorized to exchange foreign currency. Traveller's checks are difficult to use. Note that the postal service doubles as a bank, so often post offices will have an ATM. As a result, even minor towns will have ATMs which accept foreign cards. American Express, MasterCard and Visa are all widely accepted. Tap water is safe to drink (although you’ll find a huge amount of bottled water for sale too) and cooked food, assuming it’s come from a hygienic kitchen, is certainly no more risky to consume than that of any developed country. This being France, the only real problems posed by the local food and drink are mild stomach complaints resulting from overindulgence. Some travelers steer clear of unpasteurised dairy products due to a perceived risk of disease, while others laud the same products for their perceived health benefits. If you’re at all unsure, it’s probably best to stick to what you’re used to. France has a more varied and developed cuisine than any other country in Europe. All establishments must post their menus outside, so take a look before you enter. Almost all restaurants offer two types of menu; a la carte (offering a wide choice for each course and is usually more expensive) and Le Menu (a set menu at a fixed price). Breakfast is usually served from 7.30 am to 10 am, lunch from noon to 2 pm, and dinner from 7:30 or 8 pm to 10 pm. Restaurants in Paris usually serve dinner until 10:30 pm. Many restaurants close on Sunday. 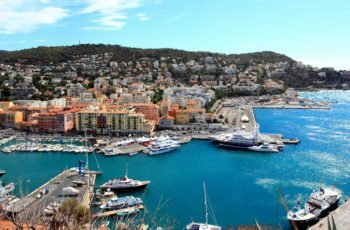 France enjoys fairly mild temperatures throughout the year with a mix of rainfall and sunshine. Each region has its own particular climate: cooler and wetter to the north and west and warmer and drier in the Mediterranean. In winter, there is plenty of snow in mountainous areas. More rarely, snow falls on the plains, mainly north of the Loire, and extremely rarely in Paris. In spring, temperatures quickly rise above 68°F in the south. 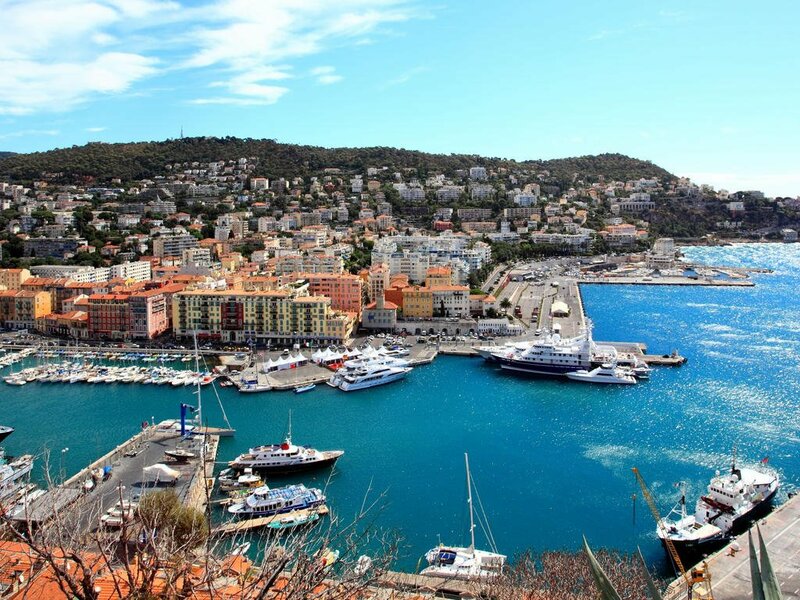 Summers are hot with temperatures often reaching 86°F in Ajaccio and Marseille,77°F in Brest and Deauville. Autumn marks the return of the rain, with the weather turning cooler. The main airline connecting towns and cities within France is Air France (www.airfrance.com). Easyjet (www.easyjet.com), Ryanair (www.ryanair.com) and Air Corsica (www.aircorsica.com) are among the other options. Car hire is widely available from international and domestic companies. Most of these require you to be over 21 years old and in possession of a license for at least a year. You may have to pay a surcharge if you’re under 25. The French drive on the right. France has a well-developed system of highways. Most of the motorway links are toll roads. All toll stations accept major credit cards although may not accept foreign credit cards, or you can use the automatic booth, but only if your card is equipped with a chip. Roads range from the narrow single-lane roads in the countryside to major highways. Most towns and cities were built before the general availability of the automobile and thus city centres tend to be unwieldy for cars. Keep this in mind when renting: large cars can be very impractical. It often makes sense to just park and then use public transportation. All major cities in France have an excellent public transport system. In Lille there is the world’s first automated driverless train. In Paris, the metro is the best way to get around town. It is cheaper to buy a carnet of ten tickets rather than buying them individually. The first train leaves at 5.00am and the last train at 12.30am. 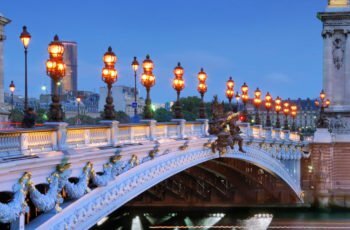 A ‘Paris Visite’ allows unlimited travel on most forms of public transport in Paris for a period of three to five consecutive days. Trains are a great way to get around in France. You can get pretty much from anywhere to anywhere else by train. For long distances, use the TGV (Train a Grande Vitesse – High-Speed Train) on which reservations are obligatory. But, if you have time, take the slow train and enjoy the scenery. Booking is available in two classes: première classe (first class) is less crowded and more comfortable but can also be about 50% more expensive than deuxième classe (second class). Almost all regions are served by a bus network, although these tend to operate over relatively short distances and services can sometimes be infrequent. In France, taxis carry up to 9 passengers and are clearly marked with a 'TAXI' panel on top of the vehicle. The 'TAXI' panel will be green if the taxi is available and red if occupied or enroute to pick up a passenger. You can take a taxi either by hailing one on the street, going to a taxi stand/rank (station de taxi) or booking one through a taxi operator (central de radio taxi). If you book a taxi, when it arrives at the pick-up point, the taximeter may already be running. This is legally permitted as the taxi driver is allowed to turn on the meter as soon as he/she receives the request from the operator to pick you up. All taxis are obliged to have a taximeter which determines the fare. In addition to the fare indicated on the metre, the taxi driver is permitted to add certain fare supplements (e.g. 4th passenger supplement; baggage supplement; pet animal supplement; supplement for picking up from a railway station or airport). However, all fare supplements must be clearly stated on the taxi fare information sheet displayed inside the taxi. If there are any road tolls, the taxi driver can only add the cost of the road toll to the fare if the passenger has agreed in advance, otherwise the fare includes the cost of the road toll. From November to March the weather in France can get very cold so dress warmly, with layers, and take a warm smart coat, gloves, warm hat and scarf. If travelling from July through to August, light breathable clothing is recommended and sunscreen, sunglasses and a sunhat are essential. Durning the Spring (April and May) and Fall (September and October) the weather becomes cooler and dressing in layers will help you cope with the temperature changes. Waterproof winter gear is advised for the mountains all year round. In winter even the Mediterranean resorts often require a sweater or jacket for the evenings. France is safe in general. We recommend normal precautions be taken as you would for any city in the world. Be aware of your surroundings and stay in well-lit areas. Don’t flash wealth. If you have items of sentimental value, leave it at home. Visitors should avoid all political gatherings and demonstrations. Passports must be valid for at least 3 months beyond the intended departure date. Please ensure you have at least one blank visa page (not endorsement pages) in your passport. U.S. citizens do not require a visa for stays under 90 days. Non U.S. citizens should consult with your local embassy. French is the official language. There are many regional dialects, but these are rapidly declining, with the exception of Basque, which is spoken as a first language by some people in the southwest, and Breton, which is spoken by some in Brittany. Many people speak at least some English. The France is on Central European Time and is 6 hours ahead of USA Eastern Time Zone. Gratuities are left to your discretion and always appreciated. It is our recommendation that the quality of service should determine the extent of any gratuity. We are pleased to provide you with the following guidelines. Please feel free to offer more if you receive superlative service. About €50 – €120 per day. About €35 – €50 per day. The driver guide or driver will normally remove himself at meal times. However this time can be awkward for both guides and clients so if the clients would like to invite the guide or driver to join them they should make it very clear and would be expected to pay for the meal. Service is always included and in general no tips are expected but they are welcome nonetheless. For excellent or unusual services a few Euros (the classic "fiver", a €5 note) are appropriate left for the housemaid or the porter who brings your bags up. · "Service included" – this means that the prices are a flat rate, no tips are required and the prices are final. Again if the server has been attentive a €5 or €10 left on the table will always be appreciated. For a short Airport Transfer €5-10 is sufficient. For longer transfers €10-30.